Christy: The Complete Series – Meet Christy Huddleston! Oftentimes I’ve heard how many people consider Christy as a very similar show to Hallmark Channel’s original series called When Calls the Heart. Since they both share similar core values and offer some kind of lesson for the audience in every episode. Apart from that, Christy might’ve been on television for two seasons, 20 episodes in total, but it’s a beloved series among many people. This series is based on the novel written by Catherine Marshall, a novel that is considered to be an American classic. 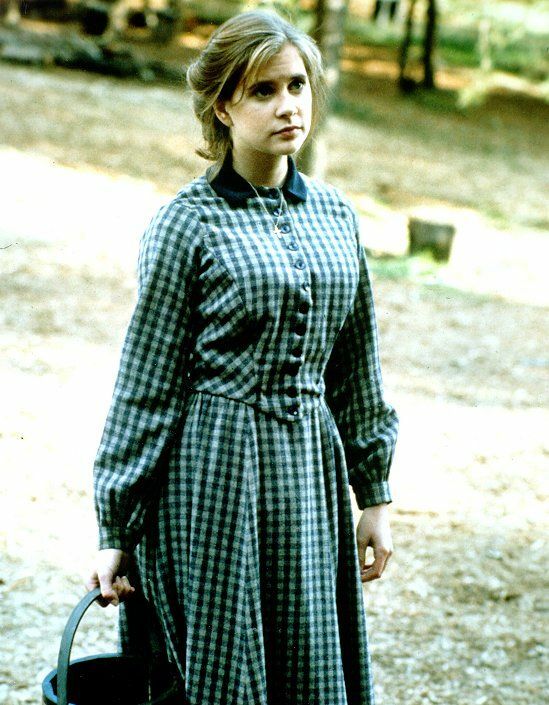 This Christian DVD is a period piece about a 19-year-old woman who leaves her life of comfort to become a teacher in a poor town in Cutter Gap, Tennessee. This leads to a journey filled with faith and hard determination to take her through different situations, difficulties of mountain life, forming of friendships and much more. In this Christian DVD Christy: The Complete Series, we meet a 19-year-old Christy Huddleston (played by Kellie Martin) who is quite frankly used to a life of benefit, a life of having all her needs met and not having to work towards anything. In her hometown, Christy is considered a sophisticated debutante and those around her expect her to be just that always. But inside Christy’s mind she knows she’s not that and doesn’t want to be, she only a girl that wants adventure. She is set to take off from her hometown, what she’s known all her life and see what the world has to offer. Christy is very conscious that the world is big and has set her mind to explore it and lend a helping hand to those who need it. She realizes that her life has always been sheltered, that she’s been in a bubble and now Christy wants to exit her “normal” world and explore the world’s reality. Now that she’s a teacher, Christy from the Christian DVD Christy: The Complete Series takes off on an adventure towards Tennessee, to a place among the Great Smoky Mountains. She encounters the small town of Cutter Gap, a place struck with poverty and Christy takes this as an opportunity to teach at the town’s schoolhouse and help in any way she can. She desires to make a difference in the local children’s lives and also in the people of Cutter Gap. Like I mentioned before, this Christian DVD takes place in 1912 and even though Christy is very much used to “modern” life and the cosmopolitan way of living, the people of Cutter Gap are still exercising the ways of the past. For example, they truly believe in local medicine and don’t consider at all the modern medicine that has come to stay among the region and country. Plus they’re living amongst themselves following ancient rules. Christy desires to help modernize the town in any way she can. Although since Christy is basically new in town, an outsider, her ideas and new ways of living aren’t well received by the locals. In various areas, Christy encounters rejection and has to discover how to get into the hearts of the people of Cutter Gap. Later on in this Christian DVD during her stay in Cutter Gap, Christy meets two men in town who apparently seem to show a liking towards her. There’s Reverend David Grantland and Dr. Neil MacNeill. She takes an interest in both men but they are really different, for example, David is, of course, a man of faith but Neil is a declared atheist. Now in Christy: The Complete Series we see a young woman completely confused as to whom of these two men she really loves and to whom she can share a life with. She struggles with the fact that even though her own faith reminds her that she should marry someone who shares her same faith but also she is attracted to the doctor with the atheist worldview. Will Christy be able to hang on to her faith to really make a decision? Will she allow her heart or her faith to decide? Christy: The Complete Series, like I mentioned earlier, has 20 episodes which contain in total more than 850 minutes of content. Be sure to know more about Christy’s journey as she must cling to her faith as she hopes for a future. The Christian drama television series Christy is available for purchase at the Fishflix store!